How did revolutionary America appear to European audiences through their opera glasses? 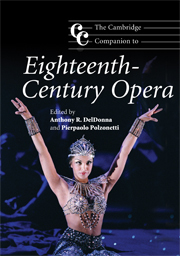 The operas studied in this volume are populated by gun-toting and slave-holding Quakers, handsome Native Americans, female middle-class political leaders, rebellious British soldiers and generous businessmen. Most of them display an unprecedented configuration of social and gender roles, which led leading composers of the time, including Mozart, Haydn, Anfossi, Piccinni and Paisiello, to introduce far-reaching innovations in the musical and dramatic fabric of Italian opera. Polzonetti presents a fresh perspective on the European cultural reception of American social and political identity. 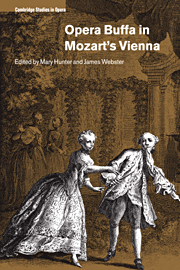 Through detailed but accessible analysis of music examples, including previously unpublished musical sources, the book documents and explains important transformations of opera at the time of Mozart's masterpieces, and its long-term consequences up to Puccini. Shedding new light on familiar and less-familiar operatic works, the study represents groundbreaking research in music, cultural and political history. 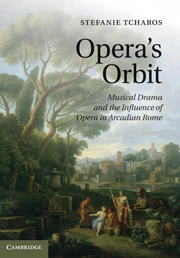 "… a highly original study that explores, with extraordinary flair and engaging prose, views of America and Americans in eighteenth-century Italian opera, venturing into repertories unfamiliar to most opera specialists and offering a fresh perspective on European cultural reception of American social and political identity. 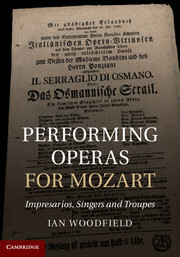 The author demonstrates an erudite command of musical, literary, political and social texts, revealing, through a broadly contextual approach, not only how Revolutionary America was perceived by European opera audiences, but how a little-studied repertory influenced dramatic innovations in the opera buffa repertory of the era's major composers." "Rigor, learnedness, erudition and topicality leap off the page of this richly documented and engagingly written book." 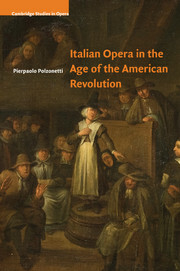 "This fascinating book answers the question posed by the author: 'how did revolutionary America appear to European audiences through their opera glasses?' Polzonetti, writing in a totally engaging style, describes in great detail how eighteenth-century Italian opera portrayed the characters (both real and imagined) and the very character of a new and exotic country in which 'Quakers have guns, slave-holders are remorseful and merciful, businessmen are generous, savages can be more civilized than savage European soldiers, women are strong and men are good-looking'." 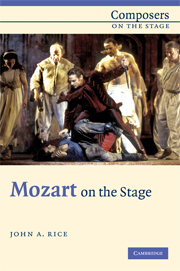 "An intriguing theory that sets the seal on a thoughtful, wide-ranging exploration of a largely forgotten repertory the importance of which Polzonetti argues persuasively." Pierpaolo Polzonetti is Assistant Professor at the University of Notre Dame, Indiana. His first book on Giuseppe Tartini was awarded the International Prize for Musical Studies by the Petrassi Institute of Latina. 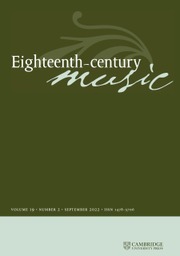 His article on Mozart's Così fan tutte received the Einstein Award conferred by the American Musicological Society. 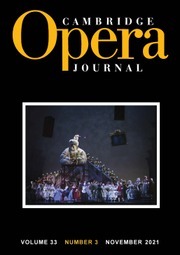 Several of his scholarly articles on opera have appeared in Opera Quarterly, Eighteenth-Century Music, Study Verdani and the Cambridge Opera Journal. He is the co-editor, with Anthony R. DelDonna, of The Cambridge Companion to Eighteenth-Century Opera.